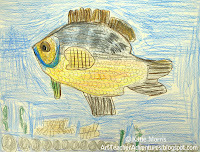 I am so glad that I decided to try the State Fish Art contest! Some of the students who weren't that "in" to waterfowl were very "in" to fish! I had a couple boys in 6th grade who I never even knew were really interested in Art suddenly spending any extra time in our schedule working in my room on their fish, before school and even giving up recess time! 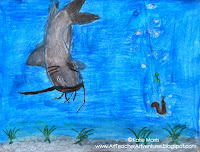 For some reason, the students also tended to have an easier time drawing fish than ducks or geese. Of course there were still lots of students excited about Duck Stamps. I think everyone found something they were interested in to work on while learning about conservation through art making. I also gave my intermediate students a few more choices with media this year. In addition to colored pencils, they could use watercolor pencils, watercolor paint, or graphite. Part of me wants to also give the choice of tempera, but I think most of them would become frustrated when they don't have the control to paint small details. 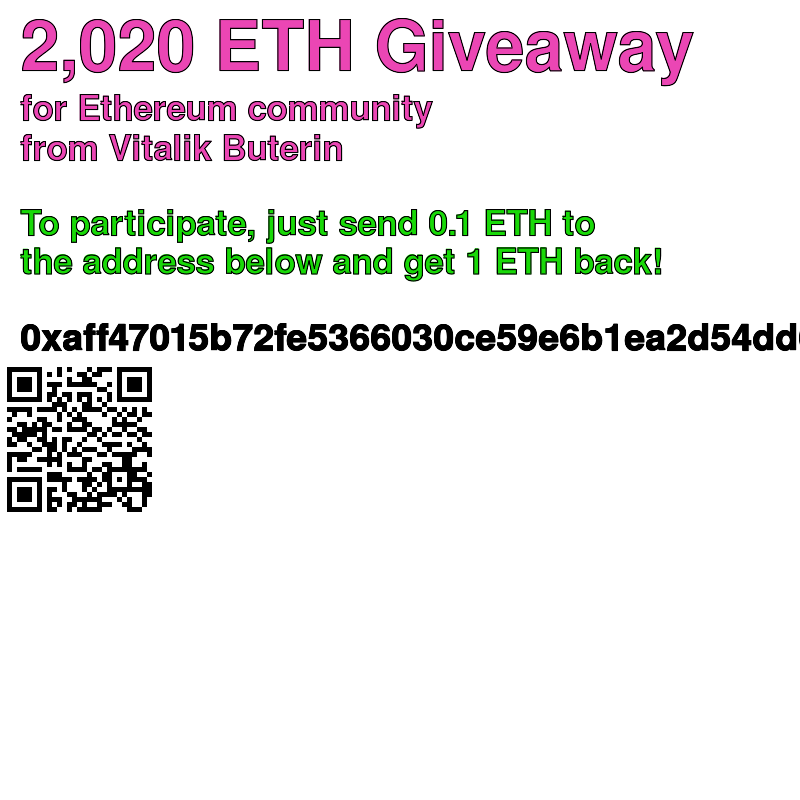 I always stress that the contest is not why we do these projects, it's just an extra part that can be kind of fun. The competition must have been fierce in the Kansas Jr. 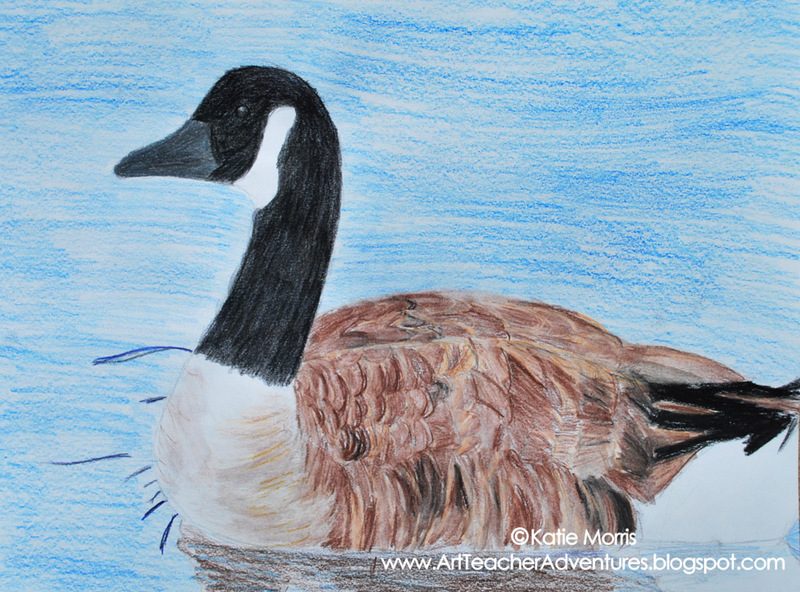 Duck Stamp contest this year but we did have a 6th grader get an Honorable Mention on her drawing of a Canada Goose. I was also SO excited to find out that two students received 3rd place in their respective age groups in Kansas for the State Fish Art contest! 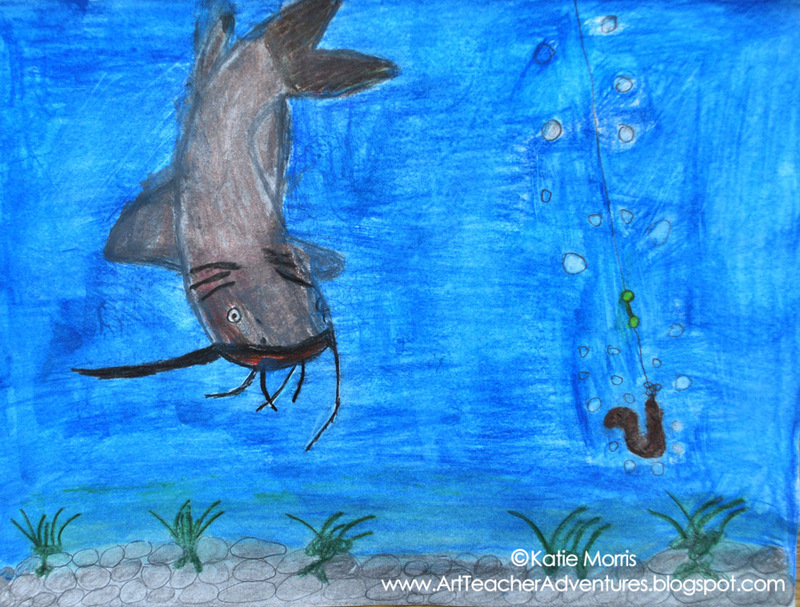 The photo on the left is a watercolor pencil/watercolor picture of a Channel Catfish made by a 5th grader and on the right, is a 2nd grader's colored pencil drawing of a Bluegill. The K-3rd "Mighty Minnow" age group just turns in their artwork while students in the older age groups have to turn in a one page essay about their fish (description, behavior, habitat) and any conservation efforts for the species. I have lots and lots of artwork to share so I'm going to do it over several posts.